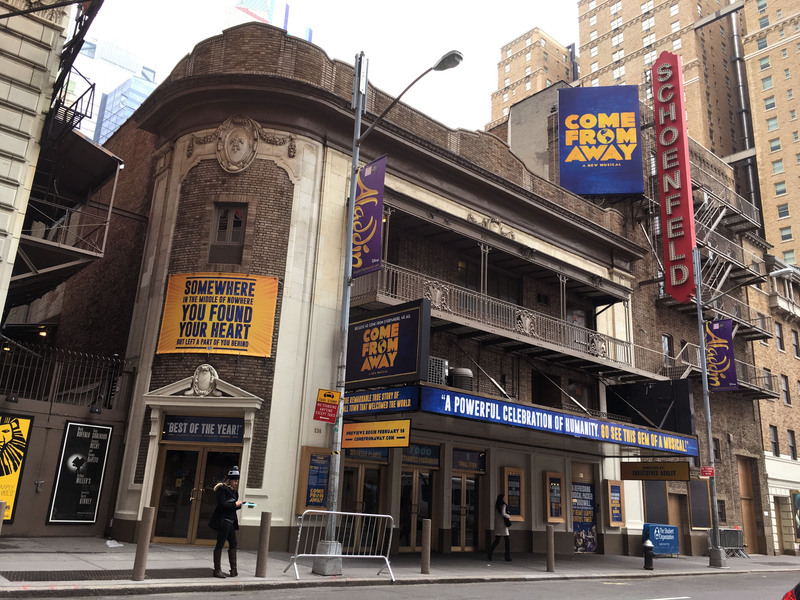 Enjoy all the magic of Broadway and find seats to see the new smash hit in NYC Come From Away. This unique true story of 7,000 stranded passengers and the small town located in Newfoundland that took them in. They say "on 9/11, the whole world stopped. On 9/12, their stories moved us all." Don't miss out on this amazing Broadway production live at the Gerald Schoenfeld Theatre, New York, NY. Buy Come From Away tickets today and enjoy the show with Rad.Tickets.